Heya everyone. 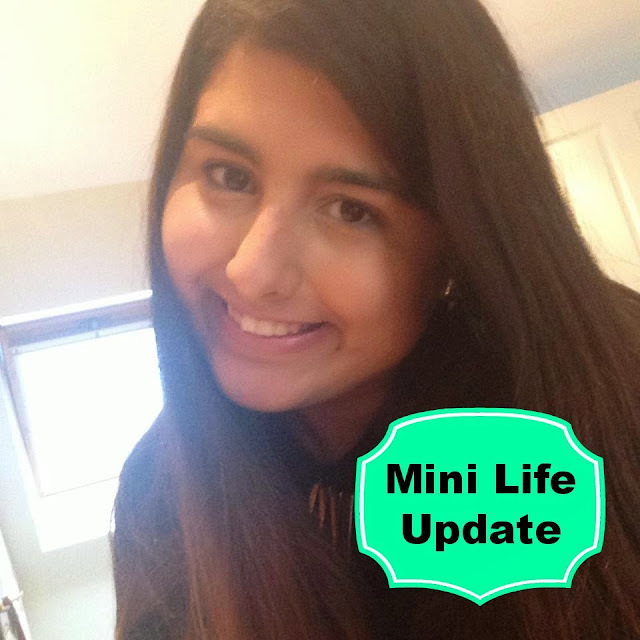 So I thought I would do a quick post on everything going on in my life at the moment. Well not everything but just little bits and pieces just so you get to know a little bit about me. I love these kinds of posts as you know the person behind the blog is actually a real person and not a machine if you know what I mean? But anyway, let's get into it. So next week I will be taking a little blogging break. In my 'Share The Love' post the other day I mentioned that I have been having a case of Bloggers Block. I just really don't know what to write about anymore and I don't really want to throw out a post just for the sake of it. I want you guys who read my blog to be able to trust my opinions and I also want to enjoy writing a post not to feel like I have to do it. If that makes sense. So that is the first thing I wanted to let you know. Another reason as to why I will be taking a bloggers break is unfortunately my Nan passed away on Saturday which was very sad. She had dementia and was 84 years old which wasn't very nice at all. She didn't deserve to go like that but at least now she is out of pain and I just think I need to spend more time with my family. Since then I've realized that I do take them a little bit for granted and I should appreciate them more. My mum, dad, brother and myself will be travelling up to Scotland on Sunday for the funeral and we don't know how long we are staying for. Might be a couple of days, might be a couple of weeks and as I don't have a laptop it's going to be a little bit difficult to blog when I'm there. When I am back I have to go back to the daunting task of a million job applications a day as unfortunately I am still unemployed. This is one of the main things that is upsetting me at the moment as I am fed up of not earning my own money and having to rely on other people. On my return from Scotland I will be spending a few days applying and going out job hunting and hopefully I'll receive my motivation to start blogging again. I know blogging doesn't just have to be product reviews so hopefully I'll be able to introduce some new ideas to my blog. I thought I'd all fill you in as you read my blog and have helped me come this far and I am so grateful to you all. I appreciate all the comments you guys leave me and all the tweets you send me. They really do cheer me up and make me smile whilst I'm going through a hard time but I do feel like I need to take a break for a little bit. I might be back sooner than expected so stay tuned. Make sure to follow my twitter and instagram both of which are @xbellefleur. I won't be blogging but I'll still be tweeting and instagramming photos so you can keep up to date with what I'm getting up too if you'd like. I will speak to you guys when I'm back and if you want to see anything featured on my blog please don't hesitate to leave me a comment and let me know below. Have a great couple of weeks! I cannot believe that there are only two months left of 2013. Where is this year going? Seriously. I am so excited for the next couple of months though. I'm excited for my cousin to come down from Mauritius, Winter Wonderland to re-appear in Hyde Park in London and just everything to start getting really festive and Christmas. I can definitely say this is my favorite time of the year! I'm also pretty excited to start making my blog a little bit festive. I loved reading Christmas tags and posts last year but I think that's still a while away yet. Anyway, today I thought I would tell you about all the products I've been loving during October. 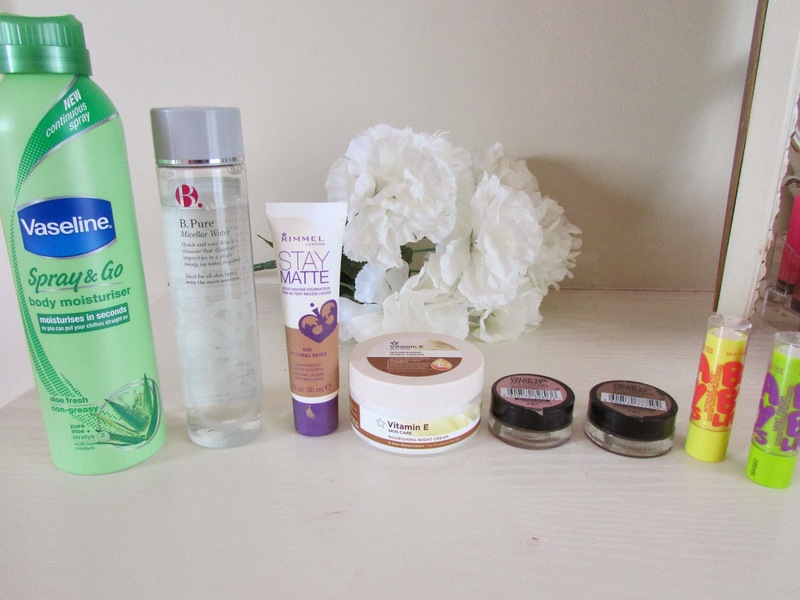 I bought quite a lot of products this month and this is just a small selection of what I've absolutely loved. Consists of mainly Soap and Glory & Bourjois with a bit of Avon and Maybelline thrown in. The first product I have been loving this month has been Avon's Moroccon Argon Oil Lightweight Gloss Spray. This spray is perfect after washing your hair. Whilst it's still damp just spray a little bit into the roots and brush it through your hair and it's left with an absolutely gorgeous shine. Most sprays I've used like this I've noticed tend to leave your hair feeling a little bit too greasy but I don't find that with this product. Definitely one I would recommend. The next two products you will have noticed I've already reviewed. 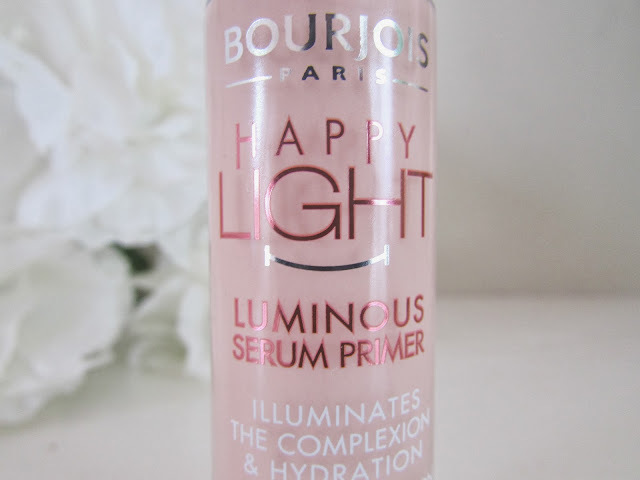 These are the Bourjois Happy Light Primer and the Happy Light Foundation also from Bourjois. As I have already done reviews I won't go into too much detail but the primer has amazing texture, glides over the skin beautifully, keeps your foundation in place all day and leaves a gorgeous radiance to your skin. The foundation also has amazing texture and leaves a gorgeous radiance to your skin, has a medium coverage which is perfect for me and lasts absolutely all day paired with the primer. 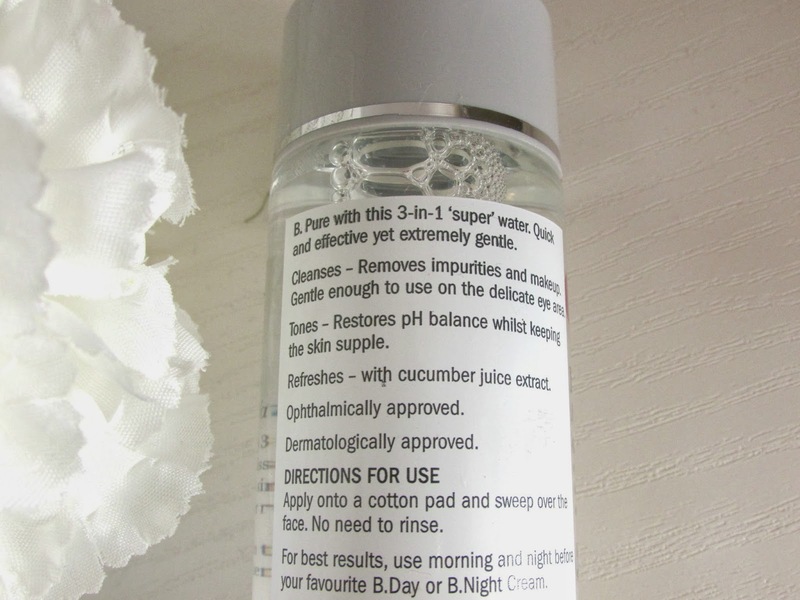 To view a review of the primer click HERE and to view a review of the foundation click HERE. My next favorite of the month is probably the most hyped up product ever in the history of blogging and that is the Collection Last Perfection Concealer. However, I totally agree with the hype. For ages I struggled to find a good concealer and kept on reading about the Collection one so I eventually bought it and fell in love instantly. 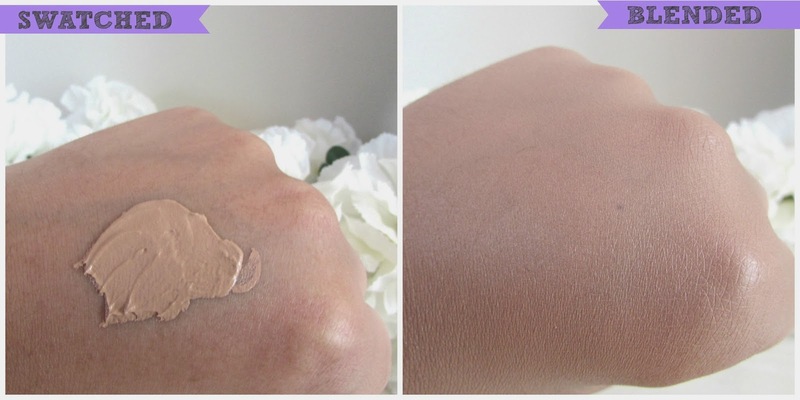 The coverage is amazing, it doesn't look cakey and lasts absolutely all day. 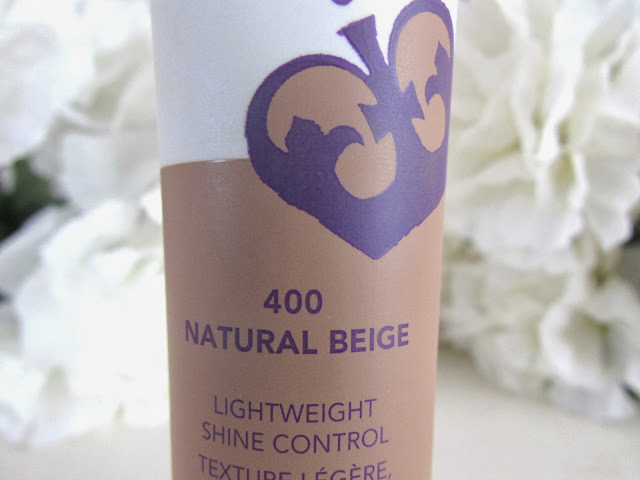 If you have been living under a rock and have yet to check out this concealer please do not put it off any longer! It is amazing. I don't think I have seen one single bad review on it. It's also incredibly cheap so you won't be breaking the bank if you don't like it. The Maybelline Color Tattoos were something I kept on hearing about and seeing a lot of people use on youtube and saw a few reviews on blogger. I'm not a big eyeshadow wearer. However I have wanted to experience a lot more recently. I popped into Superdrug one day to see what colors that had an instantly fell in love with 'Pink Gold'. Basically a pink eye shadow with gold shimmer running through it. Pairing eye shadows together is still something I'm new at, however I find 'Pink Gold' on it's own all over the lid looks pretty incredible and that is how I tend to wear it. The next two products were on my wishlist since around June when I saw them in Zoella's favorites video and I only got around to purchasing them at the beginning of this month. The first product is Smoothie Star whipped body cream and the second product is the Rich and Foamous Body Wash. They both smell absolutely incredible and work really well together. 'Smoothie Star' contains Pistachio, Almond and Sweet Vanilla and it is just an incredibly body cream that sinks into the skin and doesn't live the skin feeling greasy. The 'Rich and Foamous' Body wash contains almond, outs and brown sugar. This shower gel foams up really well, leaves your skin feeling really clean and soft. Both of this products go really nicely together especially at night time as they aren't fresh scents so wouldn't really suit day time. When I bought these two products Boots had a 3 for 2 offer on. I don't know if that is still the case but I would highly recommend these two products if you haven't tried them already. And that is it. All my favorite products during October. What have you been loving this month? Be sure to let me know in the comments below! Hello there everyone! Hope you're having a lovely Friday evening. Another week gone, another week closer to Christmas! Can you tell how excited I am? This year I have my cousin from Mauritius coming over to experience a cold winter as over there it's like a billion degrees in December so I cannot wait to have her here! Got so much planned for her visit! Ice skating, visiting the Harry Potter studios, going to see Les Miserables, going to see the Christmas lights, Winter Wonderland and of course shopping until we drop! She comes at the end of November and I just can't wait. But anyway enough rambling, let's get to the point of why I'm writing this post. If you read my Boots Haul post (click HERE) then you will know that a couple of weeks ago I spend a bit too much money on things I quite frankly do not need. 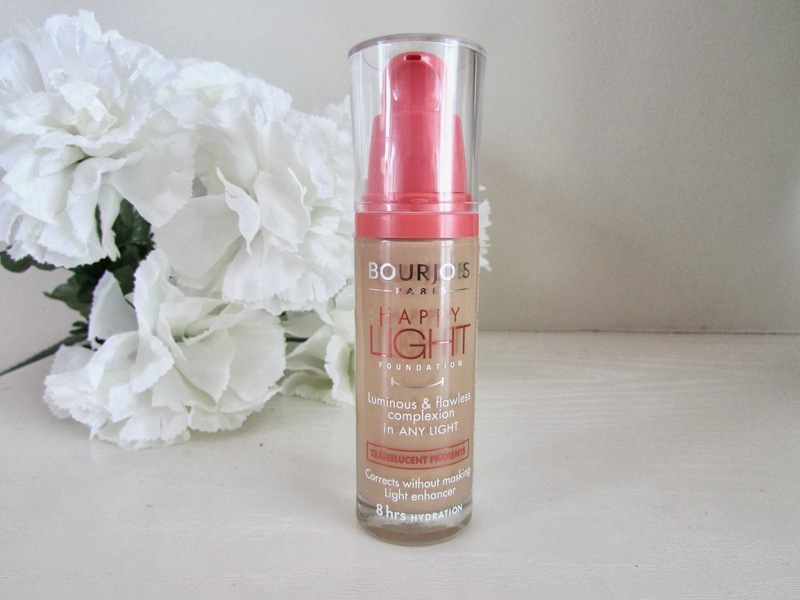 One of things that fell into my basket was the Bourjois Happy Light Foundation which was a foundation that I had never seen before. 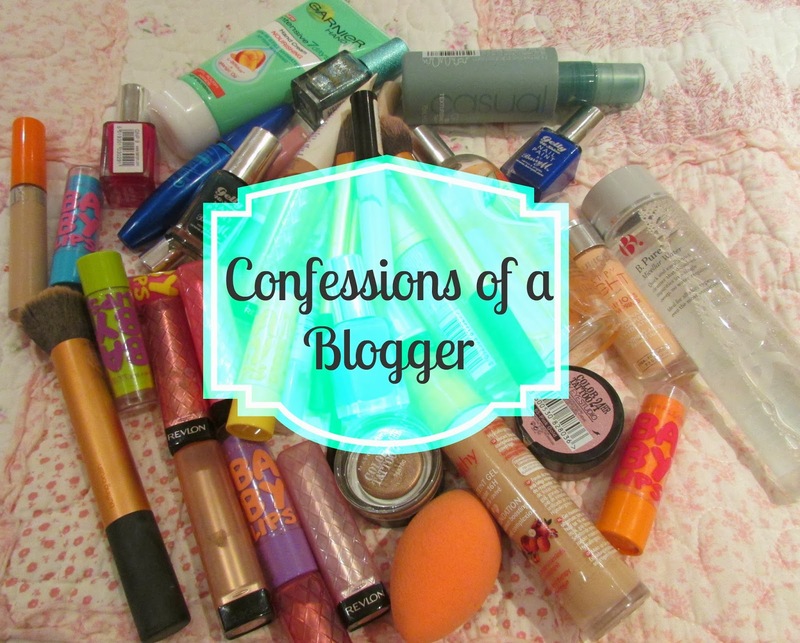 Now if you read my blog regularly you know how much I love Bourjois foundations. I love the texture and the coverage it leaves. I love the more medium coverage and I find that Bourjois foundations do just the job. Firstly, I think the name of this collection is just so cute! 'Happy Light'...adorable right? I absolutely love the packaging of this product as well. It comes in a glass bottle and has a pump like all the other foundations in the Bourjois brand which is perfect when it comes to determining how much foundation you would like. 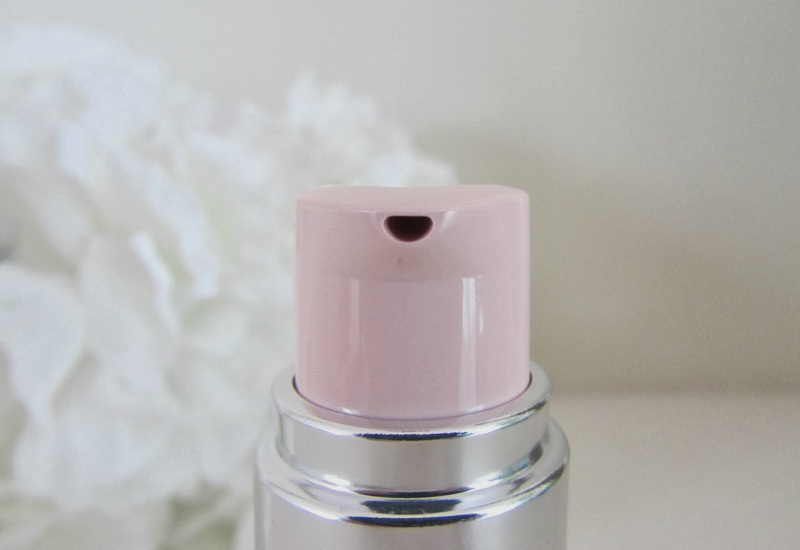 But I also love the fact it is pink and girly. Us girls love a bit of pink and a cute name and this product just ticks all the boxes. 'Happy Light' basically means that it is supposed to leave your skin healthier and more glowing which I find it absolutely does and doesn't have those added bits of sparkle or shimmer either. What a bonus! The shade I wear is shade 53 which I actually find is a just a tiny bit to dark but still blends into my skin nicely. I absolutely love applying this foundation as the texture is just so silky and smooth. It blends into the skin perfectly and leaves an absolutely beautiful finish. I used to blend this in with my fingers but then found it does go a little bit streaky but blends like a dream with my real techniques buffing brush. It leaves a beautiful radiant finish thanks to the translucent pigments and is really hydrating as well. I love the fact it evens out the skin tone and feels really weightless on the skin. There are a few negatives to the foundation. The shades are very different to other Bourjois foundations so it is very important to swatch it in store before you buy. Looking at the Boots website now, do not go by the swatches on there as they are a lot lighter to what you actually get in the store. I haven't been in Boots since I bought this foundation but the shades were very limited. If you have really light skin then I reckon you will struggle a lot to be matched, the same if you have really dark skin. Other than the limited shades I absolutely love this foundation. 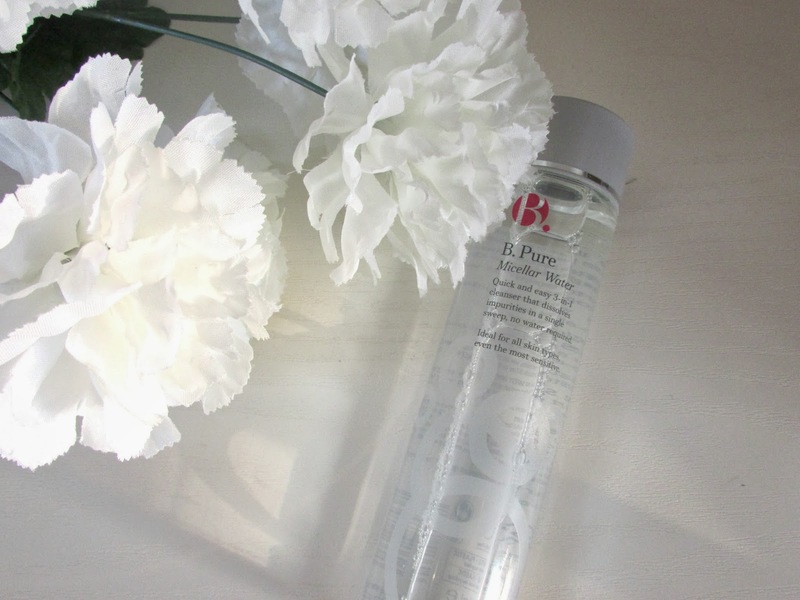 It's not oily, blends perfectly and leaves a beautiful radiant finish. 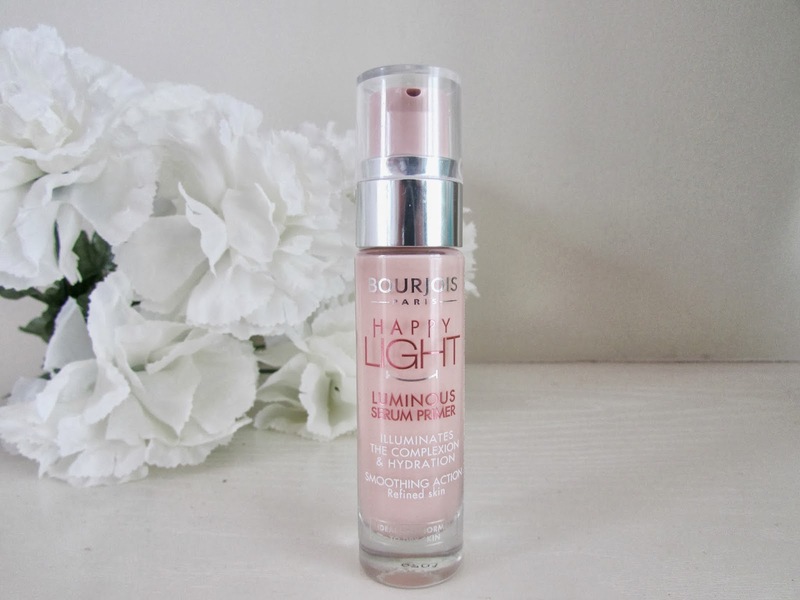 It looks absolutely incredible paired with the Bourjois Happy Light Primer (review HERE) and there are two versions of the primer so there's one to suit those of you who prefer the more dewy look as well as those of you who prefer the more matte look. 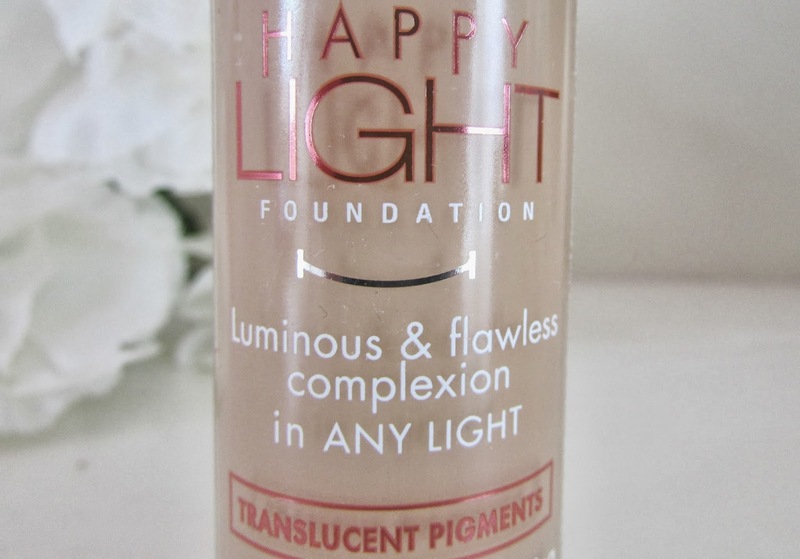 The 'Happy Light' Foundation can be purchased from Boots for £7.99 which is super affordable and extremely worth it. Have you tried any products from the 'Happy Light' range? What are your views? Good Evening Lovelies! Hope you have had a lovely Monday! The dreaded first day of the week is finally over so now we can push forward with the rest of the week in confidence that it will be a good one! Today I thought that I would do a tag post for you because I haven't done one in a while and whilst browsing a few blogs I came across this one that will introduce you to the reasons why I started blogging in the first place. It is a great tag and can be used on every single blog type, so I hope you will enjoy it.. The picture above was both taken and edited by me so please feel free to use it if you would like to do this post yourself. I would appreciate if you could link back to this post or credit me if you do. Right, now that that is out of the way let's get on with the post. This is quite interesting actually. I started my blog in December last year. I didn't have any followers and it wasn't full beauty related at all. I did film and music reviews, a few lifestyle posts and a couple of beauty reviews. I then took a break and started again in January where I did a a couple of posts. But I was unhappy with my blog and the way it was so I decided to stop until May when I was almost finished with university. I then came across more new and exciting blogs and these encouraged me to not give up anymore and carry on. I couldn't be happier with my decision to start a blog. I had a tumblr account and I had a twitter account too which was where I came across Zoella and other big beauty bloggers and this then led me on to create my own blog. I've never been a very creative person and this blog allows me to do just that. Now I've read a few answers to this question where people have said 'to share my love of make up with the rest of the online community'. In my case I started a blog to be introduced to make up and different skin care brands. Growing up I was happy with a bit of lip-gloss and mascara on my face and then these last couple of years I've decided to be a little bit more experimental with make up. I love going onto blogs and seeing reviews of a new foundation or concealer, going out and purchasing it and then giving my own opinions and reviews. Having read Zoella's for about a year and seeing how successful she is I decided that I would like to be a part of this beauty community and now I can't imagine my life without it. Starting a blog was never a set goal of mine. I decided to join in and see if people would be interested in what I said and I was extremely happy when little faces started popping over at the side. I became very serious about blogging when I hit 60-70 followers in terms of my photography. I never used to edit my earlier blog photos and I realize now what a mistake that was as that's a key and in my opinion the most important element. When I got a new camera for my 22nd birthday I decided that I would take my photos in natural light and always made sure I edited them if they needed it and I've seen such a vast improvement. Now that I have reached 102 followers on bloglovin' and have almost 19,000 views on my blog it really does give me the motivation to carry on improving my blog. My first post on my blog is an 'About Me' post. It just says why I've started a blog, what I will be talking about and what I will be up too later on in the year. Reading back on it, it is incredibly cringey and I really want to delete it. I will however continue to leave it up there because it just reminds me of how much my writing style has improved in such a short space of time. If you would like to have a read click HERE. Making sure that all my content is relevant and like I've said before making sure my photography is up to scratch. I absolutely love blogging but I do get a case of 'bloggers block' at times and it's really hard to think up posts and come up with new and exciting material. They are incredibly small challenges but they do test my creative side which I absolutely love and this also allows me to improve my blog and attract more people who will enjoy reading my blog. This is such a hard question so I'm just going to say I definitely see myself still blogging. I don't know how many followers I'll have or views and I have no idea if it will take me anywhere but I know that I will always love and enjoy blogging. I definitely hope I meet more of the lovely girls who blog as some of them have inspired me so much. I think all bloggers go through it at the beginning but it's people telling you that you will fail. Or people who saying that your blog is rubbish. I've even had comments where people say I don't know what I'm talking about. I've never said I'm an expert on make up. I'll never be a make up expert. But I do know what works well for my skin and what doesn't. That is exactly what I am sharing with everyone. I also don't like when people decide how good or bad a blog is based on the number of followers they have. They don't look at the content they just make judgement's on the size of the followers. Most of the blogs I follow have only 30-60 followers and they are incredible. I think it's disgusting. It really does discourage me but at the same time makes me work harder and try to make my blog the best it can be. Success is handed to you on a plate. The number of followers doesn't come overnight. You need to work and work and work and when you're think you're done, work some more. If you really want to be a successful blogger you'll never give up to be the best you can be. Watching other bloggers do what they love doing and inspiring me to carry on. I love reading why people started to blog and what keeps them going. I love seeing the different products people are loving that very often introduces me to new products and allows me to keep on blogging. I love reading different lifestyle posts and gaining and insight into different bloggers' lifestyles. I just feel like blogging allows bloggers to be themselves. Nobody is fake or hiding behind some mask. You really do get to see who they really are. As someone who's really shy and often scared of showing who she really is I find that blogging definitely allows me to be myself..
Wow this was definitely a lot longer than I expected it to be but I had a lot of stuff I wanted to get out...as you can tell. I hope you all enjoyed reading this. If you do or have done this tag please leave me a comment below as I would love to get to know more about you and your blog. Heya everyone! Hope you've all had a good week and have lots of exciting plans for the weekend. I unfortunately have been feeling absolutely dreadful and have been just staying in bed and drinking lots of lemsip and watching films. I can't wait till I get better! However, there were a couple of days where I did feel a bit better so I decided to step out for some fresh air and as you can see from the title above I somehow managed to fall into Boots. This happened on around four separate occasions and I honestly didn't know I had bought this much until last night when it was all sitting on my dressing table. Of course as a blogger I instantly though 'haul' and then 'reviews' once I've used each product for a little bit so I won't be going into too much detail here. First product I bought was the 'Spray and Go' Moisturizer in 'Aloe Fresh'. What a wonderful invention! A non greasy, easy to apply cream that leaves your skin feeling soft and moisturized within 5 minutes. Amazing. I did a review of the Cocoa Butter version HERE which is exactly the same as the Aloe Vera one just with a different scent. 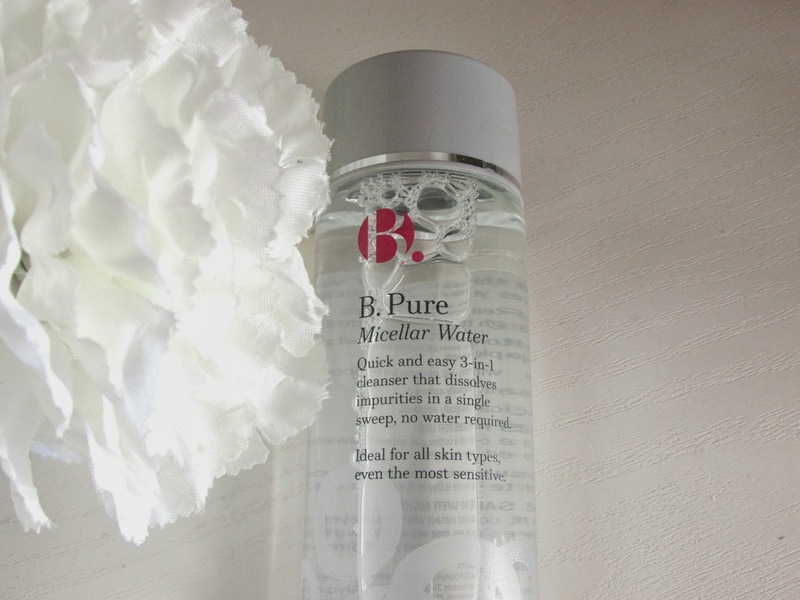 I then bought the B.Pure Micellar Water which I also did a review of HERE. This basically cleanses, tones and refreshes your face and I absolutely love it. If you are a fan of bioderma then this would possibly be a good dupe. 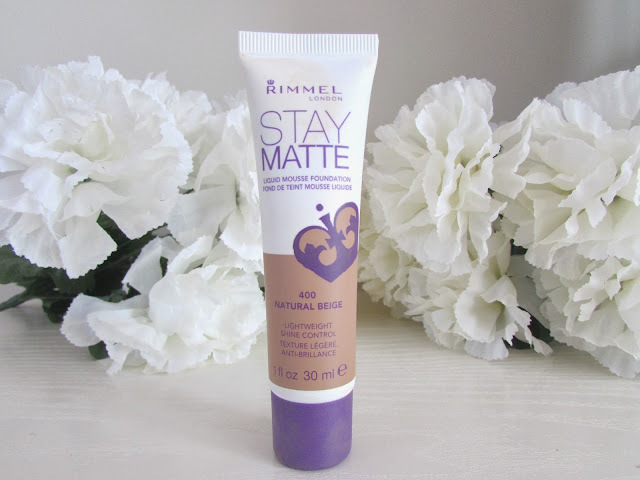 The next product I bought was the Stay Matte foundation which I've used a few times already so I will be reviewing that in the next week or so but I absolutely love this foundation in terms of coverage. I was dying to get my hands on it ever since I saw the adverts on TV as I absolutely love the stay matte pressed powder so I was having very high hopes about this foundation. I then went to the moisturizer section to look for a night cream and I came across a vitamin E cream. I absolutely love the vitamin E eye cream as it's non greasy and super moisturizing and so far I have been very impressed with the condition this night cream leaves my skin in as it feels super soft and moisturized when I wake up the next morning. The next two products I picked up are two products I've wanted to get my hands on for ages now and they are the Maybelline color tattoos in 'Pink Gold' and 'On and On Bronze'. I love these eye shadows as they make perfect bases, are super pigmented and you can also wear them on their own. After this I then picked up three of the baby lips in 'Minty Fresh', 'Hydrate', & 'Peach Kiss' as I just think they are amazing lip balms and leave my lips in tip top condition. I also love the tint 'peach kiss' leaves on my lips. Soap and Glory are one of my favorite brands in terms of skin care. I just think their products smell incredible, and everything I've used leaves my skin in amazing condition. When I saw that Boots were doing a 3 for 2 offer I immediately went over to the aisle to browse through the products. I initially wanted to get all the sugar crush products but then went with the 'Rich and Foamous' body wash and the 'Smoothie Star' whipped cream. Both of these products smell absolutely incredible. 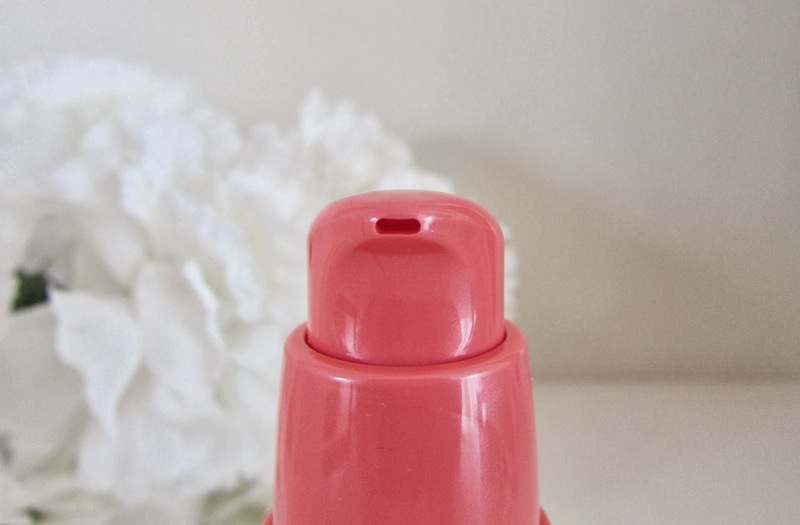 I saw this in one of Zoella's videos and when she mentioned what the ingredients were I immediately knew I would like the scent. It's a perfect scent for 'Autumn/Winter' as it's quite warm and calming. As it was 3 for 2 I decided to get the sugar crush scrub as it's just too amazing to leave behind and I've recently run out of the other tub I had anyway. Real Techniques make up brushes are in my opinion the best make up brushes I've ever used. They just leave a flawless finish on your face so when I spotted the beauty blender I just had to have it. I've been dying to get my hands on beauty blenders for a while now and when I saw this was £5.99 I immediately popped it in my basket. I've read mixed reviews on this product but decided to purchase it to see for myself what it was like. As it's fairly cheap if I don't like I know I won't be breaking the bank. This was only purchased yesterday so I haven't had a chance to use it yet but will pop a review up here when I do. I am a massive fan of the Bourjois foundations. The healthy mix foundation and healthy mix serum are both holy grail products for me. However when I walked over to the stand yesterday I saw that they had a foundation which I had never ever seen before which is 'Happy Light' foundation. The name instantly intrigued me as I knew it would be solely based on highlighting and giving a radiant look to your skin which I like to have. Along side this I spotted a primer and I've never been one to use a primer so I was instantly intrigued and saw that it came in two versions. A luminous version for normal to dry skin and a matte version for oily skin. As my skin is getting really dry at the moment I picked up the luminous version. I am expecting this to look amazing paired with the foundation. So there we have it all of the products I've purchased in the last couple of weeks. A lot of these products were heavily influenced by other beauty bloggers and you-tubers as they are just incredibly hyped up at the moment. Once I've used these products I'll be sure to do reviews of everything so be sure to stay tuned. Have you been to Boots or any other drugstore recently? Have you used any of these products?